It is not only in our dark hours that scepticism, relativism, hypocrisy, and nihilism dog ethics. 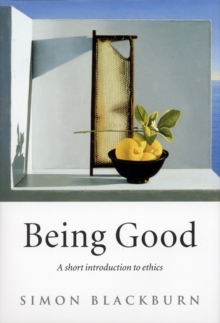 Whether it is a matter of giving to charity, or sticking to duty, or insisting on our rights, we can be confused, or be paralysed by the fear that our principles are groundless. Many are afraid that in a Godless world science has unmasked us as creatures fated by our genes to be selfish and tribalistic, or competitive and aggressive. 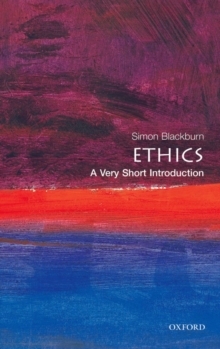 Simon Blackburn, author of thebest-selling Think, structures this short introduction around these and other threats to ethics. 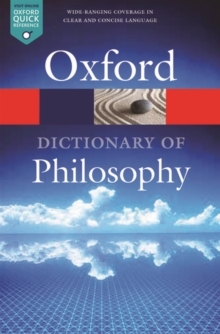 Confronting seven different objections to our self-image as moral, well-behaved creatures, he charts a course through the philosophical quicksands that often engulf us. 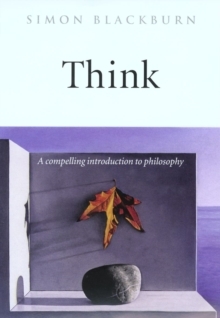 Then, turning to problems of life anddeath, he shows how we should think about the meaning of life, and how we should mistrust the sound-bite sized absolutes that often dominate moral debates. 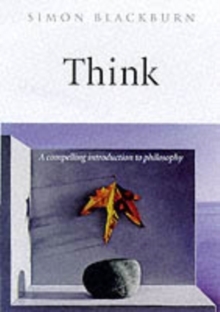 Finally he offers a critical tour of the ways the philosophical tradition has tried to provide foundations for ethics, from Plato and Aristotle through to contemporary debates.